Doo-Wops & Hooligans is the debut studio album by American singer Bruno Mars. It was released on October 4, 2010, by Atlantic Records and Elektra Records. Mars' writing and production team The Smeezingtons were credited with writing all songs and serve as the album's executive producers. The album's title refers to doo-wop music and was chosen to reflect simplicity, as well as appeal to both males and females. Two digital singles—"Liquor Store Blues" featuring Damian Marley and "Grenade"—were released to promote the album. The lead single "Just the Way You Are" was released on July 20, 2010, and topped the Billboard Hot 100 for four consecutive weeks, going on to become an international top ten hit. "Grenade" was later announced as the second single, and has charted in the top ten in Australia, Canada, New Zealand, as well as becoming his second consecutive number one in the United States and United Kingdom. "The Lazy Song" was released as the third single from the album in Spring 2011, peaking at number 4 on the Hot 100 and becoming his third consecutive number one single in the United Kingdom as a solo artist. Doo-Wops & Hooligans charted at number 3 on the Billboard 200 and in the top ten of music charts in Australia, Canada, Ireland, and New Zealand. The album received generally positive reviews from music critics. The usage of a wide variety of influences was noted by critics, with musical comparisons made to Michael Jackson, Jason Mraz and Little Richard. The album received a total of seven nominations for the Grammy Awards in 2011 and 2012, including Album of the Year and Best Pop Vocal Album. Mars embarked on a US headlining tour throughout November and December 2010 to promote the album. Doo-Wops & Hooligans was announced the third biggest-selling album of 2011 in the United Kingdom, selling approximately 1,214,420 copies. The album has sold over 6 million copies worldwide. 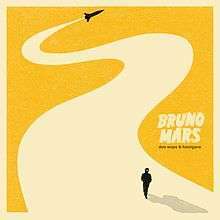 The release of Doo-Wops & Hooligans was announced during a press release on August 25, 2010, following the release of Mars' debut EP, It's Better If You Don't Understand, earlier in the year. Speaking to MTV News, Mars said the EP gave a "nice effect of what's in store" for the album. The album cover was officially released on August 30, 2010. The official track listing was revealed by Atlantic Records on September 9, 2010. Three of the four songs from It's Better If You Don't Understand are included on the album. On the title of the album, Mars said, "'Doo-wop' is a very special word for me. Because I grew up listening to my dad who, as a Fifties rock & roll head, loved doo-wop music... Plus doo wop songs come from a time back in the day when there were no TRICKS! You just needed a beautiful melody, you needed a beautiful voice, and you needed to CONNECT!... So the 'doo-wop' part is for the women!"... But then because, on this album, I have records that women are going to relate to and men are going to relate to, the doo-wops are for the girls and hooligans are for the guys." In addition, he told 4Music, "It explains the two sides of me. Doo-wop is a special form of music I grew up on. It's straight to the point, very simple. I have songs like that. ... I have that simple, romantic side of me but I'm also just a young, regular dude and that's like the hooligan side!" "I've been working really hard. A lot of people think this was an overnight thing. I was in the recording studio just figuring out the production process and the writing process. It needed to happen; it was training for me to put out my own album." —Mars explaining the development of "Doo-Wops & Hooligans". Fellow Smeezington Ari Levine confessed that they never met Needlz or Walton, who helped with the writing and production of the single "Just the Way You Are", they also never met Supa Dups who produced and wrote along with The Smeezingtons the promotional single "Liquor Store Blues" and the track "Our First Time". Since everything was done by "sending files to and fro". When he was asked about the writing credits of "The Other Side" he said the song was also written to somebody else’s track. "We redid the sounds and then added things on top of it. Then we found out that there were all these writers on the track, and we went OMG! In general, we find it easier to write songs to an existing track. We approach writing songs almost like remixes: anything can change at any point in time. There’s nothing set in stone." In addition, he confessed that "Talking to the Moon" is his favourite song from the album explaining that in the beginning they "only had the first verse and the horns, but we knew that it was great." In the midd time "We then had three different bridges and we spent a lot of time trying to find out which one was the best. Jeff Bhasker is a fantastic musician, and he helped write that track. I think we tried to arrange and produce this in four different ways, mostly trying to figure out what kind of drums to put on." When Philip Lawrence was asked about the single "Marry You" he said "When we were coming up with that song, we had this image of a slow-mo video in Vegas of a couple running, and she’s in her gown and he’s in his tux, the wedding party is behind them and everyone’s raging. This sort of crazy, daring, wedding feeling. It was more of a racy kind of idea, as opposed to this classic marriage tune it has become." 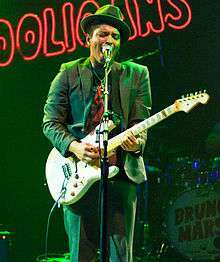 Lawrence said that after the hit singles "Nothin' on You" and "Billionaire" the label told The Smeezingtons they had a lot of time to produce Bruno's first album. He added "but all of that went out the window when the demand changed." They called them and said "instead of six months you have one month to finish this album." He concludes: "So we were scrambling trying to finish the album, and I think “Grenade” was the last song we finished." Primarily a pop album, Doo-Wops and Hooligans was noted by music writers for its diverse variety of influences. Certain songs on the album contain elements rock, reggae, R&B, soul, and hip hop. Ken Capobianco of The Boston Globe denoted "bright melodies" and "smooth pop" in the album's music. The Guardian's Alexis Petridis noted "takes on Michael Jacksonish pop soul, Coldplay-style arena rock and a stab at 1960s R&B", but added that the album's "default setting" is "acoustic pop-reggae" and recalls Mars' contribution to Travie McCoy's Billionaire", with "laid-back soft rock, with gentle reggae inflections, hang-loose sentiments and all." Jon Caramanica of The New York Times wrote that Mars has "a light, soul-influenced voice that's an easy fit in a range of styles", and that he and The Smeezingtons have "a firm grip on the full spectrum of black pop, and white pop as well." Music journalist Jody Rosen commented that the album's songs "move from power ballads to bedroom anthems to pop-reggae". Lisa Binkert, from Billboard magazine, found out that the album "bobs and weaves between reggae grooves, classic Motown soul and back again to perfectly crafted pop. It's unclear where Mars falls into the musical spectrum. Mars' sound has drawn comparisons to Michael Jackson—especially the album's "atmospheric" opener "Grenade" to "Dirty Diana"—as well as to Jason Mraz. Other comparisons in style and sound made include "Grenade" to Kanye West and Shakira, "Just the Way You Are" to U2, "Our First Time" to "Boyz II Men" and singer-songwriters D'Angelo, Al B. Sure!, and Sade, "Runaway Baby" to Little Richard, "The Lazy Song" to Sugar Ray, "Marry You" to Coldplay, "Liquor Store Blues" to Bedouin Soundclash, and "Count On Me" to Israel Kamakawiwoʻole. Lyrically, many tracks have been described as "feel-good", carefree, and optimistic, including love song "Just the Way You Are" ("When you smile, the whole world stops and stares for a while"), the friendship song "Count On Me" ("You can count on me like 1 2 3 / I'll be there"), and "Marry You", a song singing of a spontaneous marriage idea. In addition, "Runaway Baby" is a guitar-driven "snappy retro trip", and "The Lazy Song" is described as a "hymn to sloth" and a "surf stoner's anthem" ("I be loungin' on the couch just chillin' in my Snuggie / click to MTV so they can teach me how to Dougie"). On the other hand, darker subjects are addressed in "Grenade", the album's masochistic heartbreak song ("Take a bullet straight through my brain / Yes, I would die for ya baby"), "Talking to the Moon" ("Talking to the moon... / In hopes you're on the other side"), and the reggae track "Liquor Store Blues" ("I'll take one shot for my pain / One drag for my sorrow"). The experimental collaboration "The Other Side" was frequently noted as the album's highlight, being the most complicated and having the best production. "Just the Way You Are" was released as the album's lead single on July 20, 2010. It topped the Billboard Hot 100 for four consecutive weeks, having sold over 5.3 million copies, according to Nielsen SoundScan, and has been certified five times platinum in the United States. It has also peaked at the top of the Australian Singles Chart, the Canadian Hot 100, the Dutch Top 40, the Irish Singles Chart, the New Zealand Singles Chart, and the UK Singles Chart, as well as within the top ten in Denmark, Norway, and Sweden. The music video was directed by Ethan Lader and was released on September 8, 2010. The album's second single, "Grenade" was released on September 28, 2010. The song reached at number one on the Billboard Hot 100 and has sold 5.2 million copies in the United States. It has also peaked at the top of the Australian Singles Chart, the Canadian Hot 100, the UK Singles Chart, as well as at the top of the national charts in Denmark, Germany, Ireland, New Zealand and Switzerland. The music video, directed by Nabil, was released November 19, 2010 and features Mars dragging an upright piano through Los Angeles to sing to the girl of his affections, only to find out she is with another man. "The Lazy Song" was released as the album's third single, and was sent to US mainstream radio on February 15, 2011. It has peaked at the top of the UK Singles Chart and Danish Singles Chart, as well as entered the Top 10 within the national charts in Australia, Canada and the United States. In the United Kingdom, the three singles from this album received commercial success reaching the top spot and selling a combined 2.2 million units. "Marry You" was released as the album's fourth single on August 22, 2011. It entered the Top 10 within the national charts in Australia, Canada and New Zealand. In the United Kingdom, it has just missed the Top 10 landing at number 11 on the official UK Singles Chart. It also charted at number 85 on the Billboard Hot 100 in the United States, without an official release. The fifth single and overall from Doo-Wops & Hooligans was "Count On Me". The song was released as a radio single on November 7, 2011, in Australia and has also been released in New Zealand. It has also received strong airplay from popular Sydney FM station Hope 1032 (2CBA). "The Other Side" featuring Cee Lo Green and B.o.B, was released in the form of EP, titled It's Better If You Don't Understand. The accompanying music video was directed by Nick Bilardello and Cameron Duddy, and was released in July 2010. "Liquor Store Blues" featuring Damian Marley was released to the iTunes Store on September 21, 2010, as the album's promotional single. "Liquor Store Blues" debuted at number 97 on the Canadian Hot 100 for the week of October 1, 2010. "Runaway Baby" charted in the United Kingdom and peaked at number 19, this was due to Mars' performance on The X Factor on the previous week. "Somewhere in Brooklyn" was released as the album's second promotional single in Germany. "Talking to the Moon" was included on the soundtrack of Brazilian telenovela Insensato Coração, Warner Music decided to released it as an official single in Brazil, after receiving high airplay. In Sammy's Adventures: The Secret Passage, two songs can be heard from the album in the movie, namely "Count on Me" and "Talking to the Moon". Both are credited to Mars in the final credits. Doo-Wops & Hooligans saw its premiere on Myspace on September 24 and was released to digital retailers on October 4, then to stores on October 5, 2010. A deluxe edition was released that includes two more tracks: a remix of "Just the Way You Are" featuring Lupe Fiasco and "Somewhere in Brooklyn", originally from It's Better If You Don't Understand. The deluxe edition also includes the music videos of "Just the Way You Are" and "The Other Side". Mars premiered several of the album's songs during a performance at the Bowery Ballroom in New York City on August 25, 2010. He appeared as the musical guest for Saturday Night Live on October 9, 2010, alongside host Jane Lynch, and performed "Just the Way You Are", "Nothin' on You", and "Grenade". Along with OneRepublic, Mars promoted the album opening for Maroon 5 on the fall leg of the Hands All Over Tour that began October 6, 2010. He also supported Travie McCoy on his European tour from mid-October through November 2010. Atlantic has allowed the musical television series Glee to cover two songs from the album; "Just the Way You Are" and "Marry You" were performed on "Furt", an episode that aired in November 2010.
iPhone app Tap Tap made a series of game based on the album. It is called Bruno Mars Revenge. It features all 10 hits off the standard version from the album. Mars' song "Runaway Baby" was then used as opening song in the 2011 film Friends with Benefits. Doo-Wops & Hooligans received generally positive reviews from music critics, it was given an averaged score of 61/100, based on 13 reviews, by aggregate website Metacritic. Consequence of Sound's Kevin Barber called it "fulfilling [with] very few holes" and Mars "a fresh act with full confidence in his abilities in writing, producing, and performing." Entertainment Weekly's Leah Greenblatt praised Mars' "instant-access melodies" and "sly snatches of dance-floor swagger", despite criticizing songs that deviate from conventional pop and soul styles. Sean Fennessey of The Washington Post called it "effortlessly tuneful" and a good start to a "durable career". Rolling Stone's Jody Rosen called the album "the year's finest debut" whose tracks "deliver pleasure without pretension". Jon Caramanica of The New York Times called Doo-Wops & Hooligans a "fantastically polyglot record that shows him to be a careful study across a range of pop songcraft", applauding its diverse range of influences. Tom Gockelen-Kozlowski of The Daily Telegraph called it "a really exciting debut" and complimented "the Kanye West-style genre-bending on Grenade, The Other Side and Our First Time, which joins the dots between Michael Jackson and Bob Marley." In a mixed review, Andy Gill of The Independent believed that the album "seeks too hard to display Mars' multifaceted talents". Q felt that "mostly, he has little to say." Tim Sendra of AllMusic called it "an uneven debut ... [that] doesn't tap into his potential as a writer or a producer". Alexis Petridis of The Guardian wrote that "Bruno Mars's pop nous is spoiled by some unfortunate vegetable metaphors". Eric Henderson writing for Slant Magazine criticized the album, saying it "manages to wear out its welcome about halfway through", calling it an attempt to "please just about everybody." Scott Kara of The New Zealand Herald enjoyed the first two tracks of the album, but noted it could have had more of both titular elements to raise its "potency". Ken Capobianco of The Boston Globe was disappointed that the album lacked an autobiographical aspect to it, but otherwise commended Mars' delivery. In the United States, Doo-Wops & Hooligans debuted at number 3 on the Billboard 200 chart for the week of October 13, 2010, selling 55,000 copies. Since then, the album has sold 2,310,000 copies in the United States and was also certified double platinum by the Recording Industry Association of America (RIAA). The album debuted the same week on the Canadian Albums Chart at number 6, and reached the top of the chart four months later. The album peaked at number one in the United Kingdom, in the top five in New Zealand and Australia, and number 29 in Ireland. In 2011, Doo-Wops & Hooligans was certified platinum in New Zealand, Australia, Canada and the United Kingdom. As of December 2011, the album had sold 1,101,185 copies in the United Kingdom, becoming the third album in 2011 to accumulate one million sales. Plus, it was the third best selling album of 2011, with 980,000 copies sold. As of November 2016, the album has sold over 1,712,000 copies in the UK. Debuting at number one, Doo-Wops & Hooligans is the first debut album by a foreign artist to do so on the German Albums Chart since Lady Gaga's The Fame did so, as of January 2010. In the week of August 25, 2013, Doo-Wops & Hooligans held at number one on Top Catalog Albums for the seventh week, enabling it to surpass Bob Marley & the Wailers’ 1984 compilation Legend for the most weeks at number one on the catalog chart in 2013. Furthermore, Doo-Wops held at number one on Top Catalog Albums for the eleventh week. That enabled it to surpass Michael Jackson’s 2001 compilation Number Ones, the longest time an album by a male artist has logged at number one on this chart in a calendar year. Credits for Doo-Wops & Hooligans adapted from liner notes. 1 2 Sendra, Tim. "allmusic ((( Doo-Wops & Hooligans > Overview )))". AllMusic. Rovi Corporation. Retrieved October 6, 2010. ↑ Caramanica, Jon (October 5, 2010). "Bruno Mars in Ascension". The New York Times. ↑ Gratereaux, Alexandra (December 1, 2011). "Bruno Mars, Calle 13 & Christina Aguilera get Grammy Nominations". Fox News Latino. Retrieved December 2, 2011. ↑ "UK's Top Selling 2011 Albums and Singles: By the Numbers". ↑ Orr, Gillian (December 9, 2012). "Meet the opinionated Bruno Mars". The Independent. Independent Print Limited. Archived from the original on September 14, 2015. Retrieved March 30, 2015. ↑ "Bruno Mars Unveils Eagerly Awaited Debut Album "DOO-WOPS & HOOLIGANS" Slated to Arrive October 5th; New Single "Just The Way You Are" Shaping Up as Massive Hit, With Top 3 Success on iTunes "Top Singles"; Sold-Out New York City Live Debut Set for Tonight, Followed by US Tour Alongside Maroon 5 in October" (Press release). Marketwire. August 25, 2010. Retrieved September 9, 2010. ↑ Rodriguez, Jayson (September 1, 2010). "Bruno Mars Is '100 Percent' Done With Debut LP". MTV News. MTV Networks. Retrieved September 9, 2010. ↑ Busy (August 30, 2010). "*Premiere* Doo-Wops & Hooligans [Album Cover]". BrunoMars.com. Retrieved October 17, 2010. 1 2 3 4 5 "Bruno Mars Hits #1 on iTunes With "Just The Way You Are"; Sets First-Ever U.S. Headline Tour; Live Performance at the MTV Video Music Awards on Sunday, September 12th; Video Hits MTV & VH1 Networks This Week, With Mars Named VH1's "You Oughta Know" Artist; MySpace Music Album Debut Set for September 24th; "DOO-WOPS & HOOLIGANS," Arrives October 5th" (Press release). Marketwire. September 9, 2010. Retrieved September 9, 2010. ↑ Bain, Becky (September 10, 2010). "Bruno Mars Reveals His 'Doo-Wops & Hooligans' Track List". Idolator. Retrieved September 10, 2010. ↑ "Bruno Mars interview by Pete Lewis, 'Blues & Soul' October 2010". Bluesandsoul.com. Retrieved 2011-09-28. ↑ Bain, Becky (August 31, 2010). "Bruno Mars: The Idolator Interview". Idolator. Retrieved September 9, 2010. ↑ Gentry, Colin (September 22, 2010). "4Music.com meets Bruno Mars". 4Music. Retrieved September 22, 2010. 1 2 Binkert, Lisa (October 21, 2010). "Bruno Mars Live: Billboard Tastemakers". Billboard. Prometheus Global Media. Retrieved November 15, 2010. 1 2 3 4 Paul Tingen (June 2011). "Ari Levine & The Smeezingtons: Producing Bruno Mars". Sound on Sound. Retrieved 27 July 2013. ↑ Georgette Cline (March 3, 2010). "Bruno Mars Calls on B.o.B, Cee-Lo for EP". Rap-Up.com. Retrieved October 11, 2013. 1 2 Rob LeDonne (September 4, 2013). "Philip Lawrence: Bruno Mars' Right Hand Man Goes Solo". American Songwriter. Retrieved October 13, 2013. ↑ Milton, Jamie (January 11, 2011). "Bruno Mars - Doo-Wops And Hooligans". musicOMH. Retrieved 2011-12-02. 1 2 3 "Critic Reviews for Doo-Wops & Hooligans". Metacritic. 1 2 3 4 5 6 7 8 9 10 Greenblatt, Leah (September 29, 2010). "Doo-Wops & Hooligans (2010)". Entertainment Weekly. Time Inc. Retrieved September 29, 2010. 1 2 3 4 Rosen, Jody (October 5, 2010). "Bruno Mars: Doo-Wops & Hooligans". Rolling Stone. Wenner Media LLC. Retrieved October 5, 2010. 1 2 3 4 5 Cohen, Sandy (October 4, 2010). "Music Review: Singer-songwriter-producer Bruno Mars shows range and pop flair on debut CD". The Canadian Press. Retrieved October 16, 2010. 1 2 3 Mervis, Scott (October 7, 2010). "For the Record: Bruno Mars". Pittsburgh Post-Gazette. Block Communications. Retrieved October 16, 2010. 1 2 3 4 5 6 7 8 9 Caramanica, Jon (October 5, 2010). "Bruno Mars in Ascension". The New York Times. The New York Times Company. Retrieved October 5, 2010. 1 2 3 4 Capobianco, Ken (October 25, 2010). "Bruno Mars, 'Doo-Wops & Hooligans'". The Boston Globe. Christopher Mayer. Retrieved November 29, 2010. 1 2 3 Petridis, Alexis (January 20, 2011). "Bruno Mars: Doo-Wops & Hooligans – review". The Guardian. Retrieved August 26, 2011. 1 2 Farber, Jim (October 3, 2010). "Bruno Mars follows his summer of hits with a big debut album 'Doo-Wops & Hooligans'". Daily News. Mortimer Zuckerman. Retrieved October 16, 2010. 1 2 3 4 Fennessey, Sean (October 5, 2010). "'Doo-Wops & Hooligans' indicates that Bruno Mars is primed for a durable career". The Washington Post. The Washington Post Company. Retrieved October 7, 2010. 1 2 3 Wheeler, Brad (October 1, 2010). "The week's hottest songs". The Globe and Mail. Toronto: CTVglobemedia. Retrieved October 16, 2010. ↑ Mucciacciaro, Roberto (October 14, 2010). "Bruno Mars' 'Grenade' Channels Michael Jackson Circa 'Dirty Diana'". MTV News. MTV Networks. Retrieved October 16, 2010. 1 2 Sullivan, Jim (December 1, 2010). "Mars is out of this world". Boston Herald. Patrick Purcell. Retrieved December 1, 2010. 1 2 3 Kara, Scott (November 27, 2010). "Album Review: Bruno Mars Doo-wops and Hooligans". The New Zealand Herald. Retrieved November 29, 2010. ↑ Barber, Kevin (December 3, 2010). "Album Review: Bruno Mars – Doo-Wops & Hooligans". Consequence of Sound. Retrieved January 18, 2011. 1 2 3 Henderson, Eric (October 7, 2010). "Bruno Mars: Doo-Wops & Hooligans". Slant Magazine. Retrieved October 7, 2010. ↑ Vick, Megan (August 6, 2010). "Bruno Mars, "Just the Way You Are"". Billboard. Nielsen Business Media, Inc. Retrieved October 16, 2010. ↑ Lee, Katie (October 7, 2010). "Melodic Savant Mars Underachieves On Debut". The Heights. Boston College. Retrieved October 16, 2010. 1 2 3 Yang, Emily (October 5, 2010). "Album Review: Doo-Wops & Hooligans". The Signal. Georgia State University. Retrieved October 15, 2010. ↑ Toor, Amar (October 5, 2010). "Bruno Mars, 'Grenade' -- New Song". AOL Radio Blog. AOL. Retrieved October 16, 2010. ↑ Gamboa, Glenn (October 8, 2010). "Album Review | Bruno Mars, 'Doo-Wops and Hooligans'". The Courier-Journal. Gannett Company. Retrieved October 16, 2010. ↑ Lamb, Bill. "Bruno Mars - Doo-Wops and Hooligans". About.com. Retrieved October 17, 2010. ↑ "Bruno Mars Ready With New Solo Single; "Just The Way You Are" Drops July 20th, Heralding Hugely Anticipated Debut Album; Elektra Recording Artist and Acclaimed Singer/Songwriter/Producer to Join Maroon 5 and One Republic on Tour" (Press release). Marketwire. July 19, 2010. Retrieved September 9, 2010. 1 2 3 "Bruno Mars: The Billboard Cover Story". Billboard.com. 2009-09-14. Retrieved 2011-09-28. ↑ "RIAA - Gold & Platinum - October 05, 2010". Recording Industry Association of America. Retrieved October 5, 2010. ↑ "Just The Way You Are - Bruno Mars". Billboard. Nielsen Business Media, Inc. Retrieved October 3, 2010. ↑ "Amazing debut for Bruno Mars and Phil Collins is back at number one". Official Charts Company. September 26, 2010. Retrieved September 26, 2010. ↑ "Bruno Mars - Just the Way You Are (song)". charts.org.nz. Hung Medien. Retrieved October 24, 2010. ↑ "Irish Music Charts Archive: Top 50 Singles, Week Ending 7 October 2010". Irish Singles Chart. GfK. Retrieved October 8, 2010. ↑ Wete, Brad (September 8, 2010). "Bruno Mars wows his lady with cassette tape drawings in 'Just the Way You Are' video: Watch here". Entertainment Weekly. Time Inc. Retrieved September 9, 2010. 1 2 "Bruno Mars - Grenade (song)". australian-charts.com. Hung Medien. Retrieved January 17, 2011. ↑ "Irish Music Charts Archive: Top 50 Singles, Week Ending 13 January 2011". Irish Singles Chart. GfK. Retrieved January 17, 2011. ↑ "Grenade - Bruno Mars". Billboard. Prometheus Global Media. Retrieved January 17, 2011. ↑ "Mars blasts off with Grenade". Official Charts Company. January 16, 2011. Retrieved January 17, 2011. ↑ Montgomery, James (November 19, 2010). "Bruno Mars' 'Grenade' Video: The Passion Of The Crooner". MTV News. MTV Networks. Retrieved November 20, 2010. ↑ "Top 40 Mainstream Future Releases". All Access. All Access Music Group. 2011-02-15. Archived from the original on 2011-02-10. Retrieved 2011-02-10. ↑ "Singles Top 40 from the Official UK Charts Company". Theofficialcharts.com. Retrieved 2011-09-28. ↑ ""Marry You" nächste Single / Remix - "Marry You" next single / Remix". BrunoMars.com (Official web site). Archived from the original on November 12, 2011. ↑ "Marry You – Bruno Mars". Billboard. Prometheus Global Media. Retrieved January 17, 2011. ↑ Gary Trust (January 6, 2015). "The Biggest Hot 100 Hits to Peak at Nos. 100-76". Prometheus Global Media. Retrieved January 6, 2015. 1 2 "Bruno Mars - Count On Me". The Music Network. Australia: Peer Group Media (861). November 7, 2011. Archived from the original on January 19, 2016. Retrieved January 10, 2012. ↑ "Music Playlist - Mainstream Playlist". Hope1032.com.au. Retrieved January 12, 2012. ↑ Rodriguez, Jayson (July 15, 2010). "Bruno Mars Shows His 'Darker' Self On 'The Other Side' Video". MTV News. MTV Networks. Retrieved September 9, 2010. ↑ "Bruno Mars - "The Other Side "". MTV. MTV Networks. August 23, 2010. Retrieved September 9, 2010. ↑ Fried, Melanie (July 16, 2010). "Bruno Mars Brings Cee-Lo to 'The Other Side'". Billboard. Nielsen Business Media, Inc. Retrieved September 9, 2010. ↑ "Liquor Store Blues (feat. Damian Marley)". iTunes Store. Retrieved September 21, 2010. 1 2 "Bruno Mars Soars to #1 on the Billboard Hot 100 Chart With Debut Single "Just The Way You Are"; Single Lands the Top Position on UK Midweek Chart; Elektra Artist Slated for October 9th Performance on Saturday Night Live; Dates Already Sold Out on First-Ever U.S. Headline Tour; "DOO-WOPS & HOOLIGANS," Arrives October 5th" (Press release). Marketwire. September 22, 2010. Retrieved September 22, 2010. ↑ "Canadian Hot 100: Oct 1, 2010". Billboard. Nielsen Broadcast Data Systems. October 1, 2010. Archived from the original (PDF) on October 3, 2010. Retrieved October 3, 2010. ↑ "Somewhere in Brooklyn – Single by Bruno Mars". iTunes Store (in German). Germany: Apple. Retrieved September 30, 2012. ↑ "Bruno Mars estána trilha de "Insensato Coração"" (in Portuguese). Warner Music Brasil. June 21, 2011. Archived from the original on September 30, 2011. Retrieved June 12, 2014. 1 2 "Doo-Wops & Hooligans". Amazon.com. Retrieved September 29, 2010. 1 2 3 "Doo-Wops & Hooligans (Deluxe) (+video) (+digital booklet)". Amazon MP3. Amazon.com. Retrieved September 29, 2010. ↑ MacDonald, John S. W. (August 26, 2010). "Hitmaker Bruno Mars Wows the Ladies in NY Debut". Spin. Spin Media LLC. Retrieved September 9, 2010. ↑ Ziegbe, Mawuse (October 10, 2010). "'Glee' Star Jane Lynch Belts Tunes On 'Saturday Night Live'". MTV News. MTV Networks. Retrieved October 10, 2010. ↑ "App Store - Bruno Mars Revenge". Itunes.apple.com. 2011-05-06. Retrieved 2011-09-28. ↑ "Friends With benefits (2011) - Cast and Credits". Yahoo! Movies. 2011. Retrieved August 16, 2011. ↑ "Doo-Wops & Hooligans by Bruno Mars reviews | Any Decent Music". www.anydecentmusic.com. Retrieved 2 November 2016. 1 2 Barber, Kevin (December 3, 2010). "Album Review: Bruno Mars – Doo-Wops & Hooligans". Consequence of Sound. Retrieved December 14, 2012. 1 2 Gockelen-Kozlowski, Tom (January 21, 2011). "Bruno Mars: Doo-Wops & Hooligans, CD review". The Daily Telegraph. London: Telegraph Media Group. Retrieved December 1, 2011. 1 2 Gill, Andy (January 14, 2011). "Album: Bruno Mars, Doo-Wops & Hooligans (Elektra)". The Independent. London. Retrieved December 14, 2012. 1 2 "Bruno Mars, 'Doo-Wops & Hooligans' (Elektra)". Q. IPC Media (296): 109. March 2011. ↑ Caulfield, Keith (October 13, 2010). "Toby Keith's 'Gun' Fires at No. 1 on Billboard 200". Billboard. Nielsen Business Media, Inc. Retrieved October 13, 2010. ↑ "Recording Industry Association of America". RIAA. Retrieved 2011-09-28. ↑ Langhorne, Cyrus (2012-03-28). "ODD FUTURE TAPE UP THE PACK, MELANIE FIONA LIVES IN TOP 10, DIGGY SIMMONS & MACHINE GUN KELLY INVADE THE CHART". Sohh.Com. Retrieved 2012-03-29. ↑ "Canadian Albums: Week of October 23, 2010 (Biggest Jump)". Nielsen Business Media, Inc. Retrieved October 14, 2010. 1 2 Williams, John (January 26, 2011). "Pearl Jam duels Mars on charts". JAM! Music. Canoe.ca. Retrieved January 26, 2011. 1 2 3 4 5 6 7 8 9 10 11 12 13 14 15 16 17 "Bruno Mars – Doo-Wops`&`H/oligans`(Al"um)<publi3her}australian-charts.com. Hung Medien". Retrieved March 8, 2011. 1 2 "Chart Track". GfK. Retrieved January 21, 2011. 1 2 "Official UK Albums Top 100 - 29th January 2011". Official Charts Company. Retrieved January 23, 2011. ↑ "BPI: Certified Awards Search" (To access, one must enter the search parameter "Bruno Mars" and select "Search by Keyword"). British Phonographic Industry. Retrieved 2011-01-22. ↑ "Chart 1620 - NZ Top 40 Album Chart". Recording Industry Association of New Zealand. Retrieved 2015-09-06. ↑ "Canadian Recording Industry (CRIA): Gold & Platinum - January 2011". Canadian Recording Industry Association. Retrieved 2011-02-02. ↑ "Top 50 Albums Chart". Australian Recording Industry Association. Retrieved 2011-02-21. ↑ Jones, Alan (12 December 2011). "Official Album Chart Analysis: Sales hit new 2011 high". Music Week. Retrieved 12 December 2011. ↑ Williams, Paul (9 December 2011). "Mars album surpasses 1 million UK sales". Music Week. Retrieved 9 December 2011. ↑ Jones, Alan (19 December 2011). "Official Album Chart Analysis: Buble's Christmas continues to increase sales". Music Week. Retrieved 19 December 2011. ↑ Official Charts Company staff (December 6, 2011). "Revealed: The Top 10 biggest selling albums of 2011 so far". Official Charts Company. Retrieved October 6, 2011. 1 2 Jones, Alan (November 25, 2016). "Official Charts Analysis: Little Mix top albums chart with Glory Days". Music Week. Intent Media. Retrieved November 26, 2016. (subscription required (help)). ↑ Paulo Grein (August 28, 2013). "Week Ending Aug. 25, 2013. Albums: A Let-Down For John Mayer". Yahoo!. Retrieved August 29, 2013. ↑ Paulo Grein (September 25, 2013). "Week Ending Sept. 22, 2013. Albums: Aloha From Hawaii Via Charts". Yahoo!. Retrieved September 25, 2013. 1 2 Wops & Hooligans "Doo Wops & Hooligans" Check |url= value (help). Amazon.co.uk. Retrieved September 15, 2011. ↑ "Apple Music 内のブルーノ・マーズ「Doo-Wops & Hooligans (Deluxe Version)」". ↑ "Doo-Wops & Hooligans (Deluxe Version) by Bruno Mars on Apple Music". 1 2 "Bruno Mars (ブルーノ マーズ) : Doo-wops & Hooligans (ファイネスト プライス盤)" (in Japanese). HMV Group Japan. Retrieved November 5, 2010. ↑ "Doo-Wops & Hooligans (Platinum Edition) [Limited Pressing] Bruno Mars CD Album". ↑ "Top of the Shops - službena tjedna lista prodanih albuma u Hrvatskoj". Hdu-toplista.com. 2011-06-13. Retrieved 2011-09-28. ↑ "Bruno Mars: Mit Vollgas an die Chart-Spitze" (in German). Media Control Charts. January 25, 2011. Retrieved January 26, 2011. ↑ "MAHASZ – Magyar Hanglemezkiadók Szövetsége". mahasz.hu. Retrieved 2011-04-13. ↑ "Oficjalna lista sprzedaży :: OLIS - Official Retail Sales Chart". OLiS. 2011-02-24. Retrieved 2010-05-28. ↑ "G-Music 商品基本資料". G-music.com.tw. Retrieved 2011-09-28. ↑ "G-Music 風雲榜 (西洋榜)". G-Music. Retrieved 2011-09-28. ↑ "Doo-Wops & Hooligans - Bruno Mars". Billboard. Nielsen Business Media, Inc. Retrieved January 12, 2011. ↑ "ARIA Charts – End Of Year Charts – Top 100 Albums 2010". Australian Recording Industry Association. 2010. Retrieved January 29, 2011. ↑ "Annual Top 50 Albums Chart 2010". Recording Industry Association of New Zealand. 2010. Archived from the original on July 24, 2011. Retrieved July 16, 2012. ↑ "ARIA Top 100 Albums 2011". ↑ "Ö3 Austria Top 40 - Longplay Charts 2011". OE3.ORF.at. ORF. ↑ "ultratop.be - ULTRATOP BELGIAN CHARTS". ↑ "Best of 2011: Top Canadian Albums". Billboard. Prometheus Global Media. Retrieved January 3, 2012. ↑ "Dutch charts portal: Jaaroverzichten – Album 2011". dutchcharts.nl (in Dutch). Hung Medien / hitparade.ch. Retrieved January 3, 2012. ↑ "Die MTV.de Jahrescharts 2011!". ↑ "Adele dominates NZ end of year charts". Television New Zealand. December 16, 2011. Retrieved January 3, 2012. ↑ "Spanish Year-End Charts 2011" (PDF). promusicae.com. Promusicae. Retrieved January 3, 2012. ↑ "Swiss Year-End Charts 2011". swisscharts.com. Hung Medien. Retrieved January 3, 2012. ↑ "The Top 20 biggest selling albums of 2011 revealed!". Official Charts Company. January 2, 2012. Retrieved January 3, 2012. ↑ "2011 Year-End Charts – Billboard 200 Albums". Billboard. Prometheus Global Media. Retrieved February 28, 2015. ↑ "ARIA Top 100 Albums 2012". ↑ Hung, Steffen. "Schweizer Jahreshitparade 2012 - hitparade.ch". ↑ "2012 Year-End Charts – Billboard 200 Albums". Billboard. Prometheus Global Media. Retrieved February 28, 2015. ↑ "2013年のCDアルバム年間ランキング" [2013 CD Albums Yearly Ranking] (in Japanese). Oricon. 2013. Archived from the original on December 26, 2013. Retrieved December 26, 2013. ↑ "Lorde topped by Sol3 Mio in album charts". New Zelaand Herald. December 25, 2013. Retrieved December 26, 2013. ↑ "2013 Year-End Charts – Billboard 200 Albums". Billboard. Prometheus Global Media. Retrieved February 28, 2015. ↑ "Year End 2013 Catalog Albums". Retrieved December 13, 2013. ↑ "2014 Year-End Charts – Billboard 200 Albums". Billboard. Prometheus Global Media. Retrieved February 28, 2015. ↑ "Billboard 200 Albums Year-End 2015". Billboard. Prometheus Global Media. Retrieved May 27, 2016. ↑ "Brazilian album certifications – Bruno Mars – Doo-Wops & Hooligans" (in Portuguese). Associação Brasileira dos Produtores de Discos. ↑ "Certificeringer | ifpi.dk" (in Danish). International Federation of the Phonographic Industry. Retrieved 15 July 2011. ↑ "French album certifications – Bruno Mars – Doo-Wops & Hooligans" (in French). Syndicat National de l'Édition Phonographique. ↑ "Gold-/Platin-Datenbank (Bruno Mars; 'Doo-Wops & Hooligans')" (in German). Bundesverband Musikindustrie. ↑ "Certificaciones – Bruno Mars" (in Spanish). Asociación Mexicana de Productores de Fonogramas y Videogramas. ↑ "Polish album certifications – Bruno Mars – Doo-Wops & Hooligans" (in Polish). Polish Society of the Phonographic Industry. ↑ "Spanish album certifications – Bruno Mars – Doo-Wops & Hooligans" (PDF) (in Spanish). Productores de Música de España. Select the "Chart", enter 2012 in the field "Year". Select '' in the field "Semana". Click on "Search Charts"
↑ "Guld- och Platinacertifikat − År 2012" (PDF) (in Swedish). IFPI Sweden. Type Bruno Mars in the top right search bar. Click on "Sok" and select Doo-Wops & Hooligans and see certification. ↑ "The Official Swiss Charts and Music Community: Awards (Bruno Mars; 'Doo-Wops & Hooligans')". IFPI Switzerland. Hung Medien. ↑ Caulfield, Keith (August 15, 2014). "Billboard 200 Chart Moves: 'Weird Al' Has Biggest Comedy Album Since 2011". Billboard. Nielsen Business Media. Retrieved January 1, 2015. ↑ "Platinum Awards - IFPI - May 28, 2015". IFPI. ↑ Doo-Wops & Hooligans (CD booklet). Bruno Mars. United States: Elektra Entertainment Group. 2010. ↑ "Doo-Wops & Hooligans" (in French). Amazon.fr. Retrieved September 29, 2010. ↑ "Tbd" (in German). Amazon.at. Retrieved September 29, 2010. ↑ "Doo - Wops & Hooligans: Bruno Mars". Amazon.ca. Retrieved September 29, 2010. ↑ "Doo-Wops & Hooligans" (in Spanish). iTunes Store México. Retrieved October 5, 2010. ↑ "Doo-Wops & Hooligans (Deluxe Version)" (in Spanish). iTunes Store México. Retrieved October 5, 2010. ↑ "Doo-wops & Hooligans (CD/DVD)(Bonus Tracks) - Only at Target". Target Corporation. Retrieved October 3, 2010. ↑ "BRUNO MARS UNVEILS EAGERLY AWAITED DEBUT ALBUM "DOO–WOPS & HOOLIGANS"". Warner Music New Zealand. Retrieved September 14, 2010. ↑ "Doo Wops And Hooligans". Sanity. Retrieved September 29, 2010. ↑ "Doo Wops & Hooligans". Amazon.com. Retrieved October 19, 2010. ↑ "Bruno Mars (ブルーノ マーズ) : Doo-wops & Hooligans (ファイネスト プライス) Platinum Edition" (in Japanese). Warner Music Japan. Retrieved May 5, 2012. ↑ "Doo-Wops & Hooligans: Bruno Mars: Amazon.de: Musik". Amazon.de. Retrieved January 19, 2011. ↑ "Releaseplan". Warner Music Group Denmark. Retrieved October 19, 2010. ↑ "Doo Wops & Hooligans - Bruno Mars - empik.com". empik.com. ↑ "Doo Wops & Hooligans - Bruno Mars (Brazil release date)". livrariacultura.com.br. Retrieved February 1, 2011.